REVISION OF PENSION SCHEME—BANK’S PROPOSAL ON PENSION. a) THE FIXATION OF TWO MONETARY CEILINGSON MAXIMUM BE DONE AWAY WITH ONE CEILING ONNMAXIMUM PENSION FIXED AT 50% OF THE AVERAGE SUBSTANTIVE PAY DRAWN DURING LAST 12 MONTHS PENSIONABLE SERVICE.IN OTHER WORDS THERE WOULD BE ONE CEILING AS DECIDED BY THE SUPREME COURT INW.P(C)305 1987(VERDICT DATED 23.02.1989). b) THE REVISED BASIC PAY AND ALLOWANCES PAYABLE IN TERMS OF WAGE/SCALES REVISION EFFECTIVE FROM 1.11.1997/1.04.1998 AND NOT AS STATED INNCLAUSE 16 OF THE 7TH BIPARTITE SETTLEMENT SALARY REVISION BE CONSIDERED FOR THEPURPOSE OF COMPUTATION OF PENSION. c) THE REVISED CEILING ON MAXIMUM PENSION POST 1.11.1992 FOR AWARD STAFF/1.07.1993(SUPERVISING STAFF) RETIREES BE MADEVEFFECTIVE FROM1.10.2002 ANDCONSEQUENTIAL BENEFITS BE EXTENDED TONSUCH PENSIONERS INTERMS OF COURTCASE V.KASTURI V/S S.B.I(1983)8 SEC30 TO ALL PENSIONERS SURVIVING ON THAT DATE. 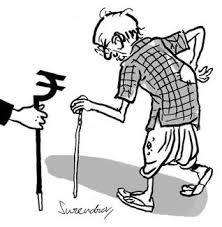 Thank u for your notes as it will help pensioners to know the real position of pension issue,as some of the pensioners are of the view that we are fighting for increase in pension without knowing that we are only demanding statutorily guaranteed pension. THE STATE BANK OF INDIA,THE FIRST PUBLIC SECTOR BANK IN OUR COUNTRY WAS TAKEN OVER BY THE GOVERNMENT 0 F INDIA THROUGH STATE BANK OF INDIA ACT 1955.THE STATE BANK OF INDIA THEREFORE ENJOYS ALL STATUTORY RIGHTS,AND IS EMPOWERED TO ADMINISTER THE AFFAIRS OF THE BANK IN TERMS OF PROVISIONS OF THE ACT.THE ACT ALSO PROVIDES FOR SETTING UP OF A CENTRAL BOARD OF THE BANK WHICH IS EMPOWERED TO EXCERCISE ALL POWERS VESTED IN IT AS PER THE STATE BANK OF INDIA ACT 1955.THE POWERS EXCERCISED BY THE BOARD HAVE THE BACKING OF THE STATUTE AND ARE ENFORCEABLE UNDER LAW.THE STATE BANK OF INDIA EMPLOYEES’ PENSION FUND IS A SCHEME FORMULATED BY THE CENTRAL BOARD OF THE STATE BANK OF INDIA.THE PENSION FUND TRUST IS MANAGED BY THE DIRECTORS OF THE BOARD AS TRUSTEES IN THEIR EX-OFFICIO CAPACITY. IN 1955,THERE WAS A VMAXIMUM CEILING OFVRS750/ PER MONTH & RS1000/ PERMONTH INBASIC PENSION OFVJUNIOROFFICERS ANDVSENIOR EXCUTIVES RESPECTIVELY,WHICH WAS MUCH ABOVE THE 50% OF BASIC PAY OFTHE TOP-MOST EXCUTIVE OFTHE BANK.AS SUCH,ALL EMPLOYEES IN THE BANK WERE DRAWING 50% OF THE LAST DRAWN PAY AS BASIC PENSION. WITH THE ADVENT OF BI-PARTITE SYSTEM IN BANKING INDUSTRY FROM THE YEAR 1967 IN BANKING INDUSTRY,THERE WAS SUBSTANTIAL INCREASE IN BASIC PAY OF EMPLOYEES AND OFICERS.HOWEVER,THE PENSION CEILINGS REMAINED CONSTANT AT RS750/ AND RS1000/,WHICH RESULTED IN EROSIN OF CONCEPT OFV50% OFPAY.MANY SENIOR OFFICERS STARTED DRAWING PENSION MUCH LESS THAN 50%OFTHE LAST DRAWN PAY.THIS CREATED MUCH HEART -BURN.THE PENSIONERS’A SSOCIATION APPROACHED THE HON’BLE SUPREME COURT FOR RELIEF,WHICH AFTER HEARING THE PETITIONERS GAVE A DIRECTION ON 23.02.1989 TO THE BANK TO ENHANCE THE PENSION CEILING TO RS2400/PER MONTH W.E.F 1.1.1986.IT IS PERTINENT TO NOTE THAT WHEN THE SALARY SCALES WERE CONSTRUCTED AT 332 POINTS OFCPI,THE MAXIMUM BASIC PAY OF VSENIOR MOST EXECUTIVE(DY. MD)WAS AT RS4800/PER MONTH.THE COURT UPHELD THECONCEPT OF 50% OF BASIC PAY AS PENSION UPTO THE LEVEL OF DEPUTY MANAGING DIRECTOR. SUBSQUENTLY,WHEN THE SALARY RVISION TOOK PLACE W.E.F 1.11.1987,BASED ON MERGER OF 600 POINTS OF CPI,THE SPIRIT OF HON’BLE COURT SHOULD HAVE BEEN KEPT IN MIND AND PENSION CEILINGS SHOULD HAVE BEEN RAISED TO RS3775/PER MONTH WHICH WAS 50% OF THE HIGHEST BASIC PAY OF THE SENIOR MOST EXECUTIVE OFTHE BANK.UNFORTUNATELY,THE PENSION CEILING WAS NOTREVISED THOUGH A PROPOSAL WAS PUT UP TO THE GOVERNMENT. INTHIS CONNEVTION I MAY ADD THE PRESENT CHAIRMAN HAS RECOMMENDED TO THE GOVERNMENT THIS CEILING VIDE LETTER DATED 27.04.2015.HOWEVER GOVERNMENT HAS NOT GIVEN APPROVAL YET(5TH BIPARTITE W.E.F.1.11.1987). IN THE NEXT WAGE REVISION WITH MERGER OF 1148 POINTS OF CPI WHICH WAS EFFECTIVE FROM 1.11.1992,THE PENSION CEILINGS WERE REVISED WITHOUT TAKING INTO ACCOUNT THE ACTUAL SALARY SCALES DRAWN BY OFFICERS.THE HIGHEST BASIC PAY OF TOP EXECUTIVE WAS AT RS14800/PER MONTH (IN 6TH BIPARTITE STARTED FROM 1.11.1992)THE METHODOLOGY ADOPTED WAS MERGER OF THE 548 POINTS OF CPI TO THE BASIC PENSION OF RS2400/WHICH WAS HIGHLY UNSCIENTIFIC RESULTING IN EROSION OF PENSION PAYABLE TO OFFICERS.EVEN A JUNIOR MOST OFFICER WITH RS9200/–AS MAXIMUM BASIC PAY WAS DRAWING PENSION LESS THAN 50% OF BASIC PAY.THIS HAS RESULTED IN FURTHER REDUCTION IN PENSION FROM 50% TO 28.71%. MOREOVER, PENSION WAS REVISED FROM 1.11.1993 INSTEAD OF 1.11.1992 AT 50% MAXIMUM RS4250/ NOT RS7400/ PER MONTH WHICH WAS LEGIMATE PENSION..IN THIS CONNECTION I MAY ADD THE PRESENT CHAIRMAN HAS RECOMMENDED REVISED PENSION W.E.F 1.11.1992 NOT FROM 1.11.1993 VIDE LETTER DATED 27.04.2015 .HOWEVER ,GOVERNMENT HAS NOT GIVEN THE APPROVAL YET. 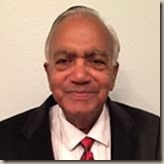 IN VIEW OF THE FACT THAT SENIOR EXECUTIVE WERE DRAWING MUCH LESSER PENSION A LEGAL NOTICE WAS SERVED ON BANK/GOVERNMENT/RBI.THEREFORE IN FEBRUARY 1999,GOVERNMENT BROUGHT A CONCEPT OF 40% OF THE LAST DRAWN BASIC PAY OVER AND ABOVE RS8500/BASIC PAY WITH MINIMUM OF RS4250/ PER MONTH WHICH CEILING IS CONTINUED TILL TODAY.THE PENSION CEILING OF 40% BASIC PENSION W.E.F 1.03.1999 IS APPLICABLE TO ONLY THOSE RETIRED AFTER 1.11.1993,THERE IS NO LOGIC IN FIXING THIS CUT-OFF DATE IN PERCENTAGE.AS PER S.C JUDGEMENT OF 3.11.1998(KASTURI V/S SBI)THE BENEFIT SHOULD HAVE BEEN EXTENDED TO ALL RETIRED PRIOR TO 1.11.1993. IN THIS CONNECTION I MAY ADD THAT OUR PENSIONERS’ FEDERATION HAD FILED A COURT CASE IN SUPREME COURT W.P(C)529/2000 V/S U.O.I &OTHERS FOR REMOVING ANOMALIES IN PENSION OF 5TH AND 6TH BIPARTITE RETIREES BUT LATER ON OUR PENSIONERS’ FEDERATION HAD TO WITHDRAW THIS COURT CASE ON 16.10.2000 AT THE ADVICE OF SUPREME COURT THAT THEY SHOULD FIRST FILE THE CASE IN THE HIGH COURT.THERE IS A REFERENCE OF THIS CASE ONTHE VERDICT OF OUR CASE BY SUPREME COURT ON 27.02.2013WHICH HAS BEEN TRANSFERRED FROM SUPREME COURT TO DELHI HIGH COURT. (W.P(C)184/2011 AT SUPREME COURT AND W.P(C)1875/2013AT DELHI HIGH COURT AFTER TRANSFERRING. b)ABOVE BASIC PAY OF RS14240/AT 40% OF THE PAY MINIMUM RS7120/PER MONTH. AS PER 7TH BIPARTITE,D.A UPTO 1684 POINTS WAS MERGED WITH BASIC PAY,BUT BASIC PENSION WAS NOT REVISED RESULTING THEYARE SUFFERING FOR THE LAST 18YEARS AND NOW ALL NORMALRETIREES OF 7TH BIPARTITE SETTLEMENT ARE ABOVE 74YEARS TO 78 YEARS OLD AND VRS RETIREES ARE ALSO ABOVE 70YEARSTO 74YEARS OLD. WITH THE INTERVENTION OF THE SUPREME COURT A COMMON CEILING WAS PRESCRIBED W.E.F 1.1.1986 WHICH REMAINED A VERY SHORT PERIOD FROM1.1.1986 TO 31.10.1987 AND S.B.I PENSIONERS ARE SUFFERING W.E.F 1.11.1987 FOR ABOUT 28 YEARS.BUT THE SAME DISCRIMINATION CONTINUED BY INTRODUCING THE CONCEPT OF 40% PENSION OVER AND ABOVE RS8500/ BASIC PAY WITH A PRIVISO OF PROTECTION OF 50% UPTO RS8500/BASIC PAYW.E.F 1.03.1999.THIS HAS COMPOUNDED THE AGONY OF PENSIONERS. DUE TO LACK OF CO-ORDINATION BETWEEN THE STATE BANK MANAGEMENT AND THE GOVERNMENT IN UNDERSTANDING THE PROBLEMS RAISED BY THE PENSIONERS’FEDERATION/ ASSOCIATIONS IN RELATION TO VARIOUS ANOMALIES AND IN ABSENCE OF TRIPARTITE FORUM CONSISTING OF FEDERATIONS,MANAGEMENT AND THE GOVERNMENT TO SIT TOGETHER AND FIND AMICABLE SOLUTION BASED ON REASON AND LOGIC,A LARGE NUMBER OF ANOMALIES HAVE CROPPED UP AND Remained unresolved for a long time. The delay caused untold miseries. The employees who retire from the bank will start counting days and many retirees left this world without seeing a solution to SOME OF THE GROSS INJUSTICE CAUSED TO THEM. STATE BANK OF INDIA EMPLOYEES’ PENSION FUND REGULATIONS ARE STATUTORY IN NATURE , THESE REGULATIONS AND PENSION TRUST HAS POWERS TO MODIFY THE PENSION SCHEME FROM TIME TO TIME,TO TAKE CARE OF THESE ANOMALIES.UNFORTUNATELY,THE GOVERNMENT/RBI AND SBI MANAGEMENT COMBINE HAVE CREATED SERIOUS ANOMALIES IN THE CURRENT PENSION SCHEME INS.B.I,THEREBY CAUSING HARDSHIP TO ALL RETIRED EMPLOYEES. Previous NOTE ON THE EXTRACT FROM BANK’S LETTER….